The rain is lashing down, it’s 8am, and Ricardo Villalobos is in full flow, wearing his usual green tank top and taking a few hundred hardened ravers down the rabbit hole. The Chilean DJ sets sail for nine hours of musical madness to a crowd that’s made up of 79 different nationalities. The soundsystem is pumping, shaking the raindrops of the Frisbee-like canopy above. It’s something of a family affair too, with his son handing the demigod records to send the dancers into an early morning frenzy. To our left is a group of dishevelled ravers, who are stood in a circle seemingly oblivious to what’s unfolding in front of them. A second glance reveals they’ve actually found a baby mouse, which they’re all stroking with Cheshire grins on their faces. This is Epizode Vietnam; an 11-day marathon where the music never really stops, and the weird and wonderful unfolds in a freeform way that just boggles the mind. Now in its third year, Epizode is easily Asia’s best-kept secret. It’s small enough to be boutique, but big enough to welcome 150 artists from almost every conceivable genre, from the Stanton Warriors to Steve Lawler, Pan-Pot, Ferry Corsten, DJ Stingray, Digby, Zip and Nina Kraviz. It is like an electronic sweet shop, with favourites stacked in unknown quantities. It has a mind-boggling array of art (have you ever seen a row of elephant sculptures on stilts rising out of a turquoise sea, or a bamboo mega structure bar that looks like it has been lifted from J. M. Barrie’s Peter Pan?) and it’s an audio delight, where the main stage soundsystem is so loud that it scares away the fish and can easily be heard in neighbouring Cambodia. It’s a playground for Russian oligarchs, Australian hippies, Circoloco bros, ex-pats, seasoned ravers and plenty of locals, too. It’s 264 hours of madness that gets under your skin on a picture postcard island nestled in the Gulf of Thailand. It’s cheap, too. You can literally live like a king from day-to-day, and the music on offer is jaw-dropping, in both variety and scope. 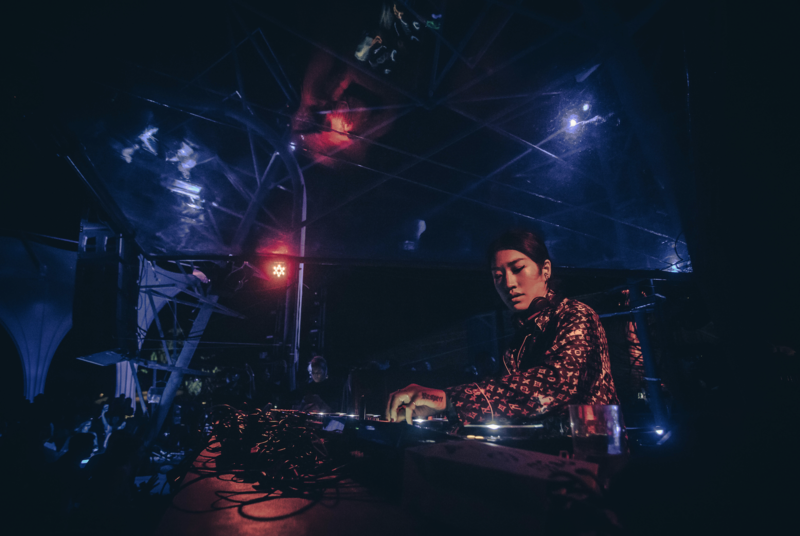 Highlights are almost too plentiful, but one of the most memorable finds Peggy Gou being serenaded by a sea of cat masks as she weaves through acid, techno and house, taking in her future classic ‘It Makes You Forget (Itgehane)’, alongside stompers such as Ellen Allien’s ‘UFO’. Israeli duo Red Axes play their part too, with a jaw-dropping set in the early hours, knitting together crooked acid bangers like their recently released Phantasy Sound EP ‘Sound Test’, alongside throbbing machine disco and mutant electro. They make way for the Pan-Pot techno freight train, before returning to play for another two hours in a surprise sunrise set (one of many surprise sets that unfold across the 11 days), where they deliver a dose of classic ’60s rock, including anthems such as Norman Greenbaum’s ‘Spirit In The Sky’ and The Rolling Stones’ ‘She’s A Rainbow’ as the crowd embraces the early morning sunshine. Other gems include Oliver Huntemann showcasing both his expert mixing and the sheer breadth of his productions, with a set that includes gut-busting rollers like his own ‘Rotlicht’ alongside Âme’s remix of Underworld’s ‘Crocodile’, which sends the 1,000-strong crowd delirious on the second night. The best is, of course, left until last, with both DJ Stingray and Nina Kraviz spinning on the final night — and what a night! Kraviz unloads four hours of bustling techno that breathes new life into a weary-looking crowd, with cuts like ‘Let’s Do It’ and ‘Ghetto Kraviz’ spliced with classics such as Orbital’s ‘Chime’. Stingray, on the other hand, gives the Epizode faithful a bone-shaking electro sermon, dispatching cuts including Mr. De’s ‘Shake It Baby’ and the sci-fi-infused ‘Crystal Boy’ by DJ Overdose, from behind his now iconic balaclava. Epizode is a must for anyone who is looking to sample some of the delights of Vietnam without the intensity of Hanoi or Saigon. Revellers can still gorge on incredible street food, take in adventures across 26 uninhabited islands and explore some stunning Buddhist temples. The beaches are some of the best in Vietnam, and if you really want to go for the full five-star experience, there are dozens of incredible resorts dotted around the festival, and hundreds more under construction, too. We’d recommend going now before Phu Quoc turns into a playground for the rich and famous. Want more festival reviews? 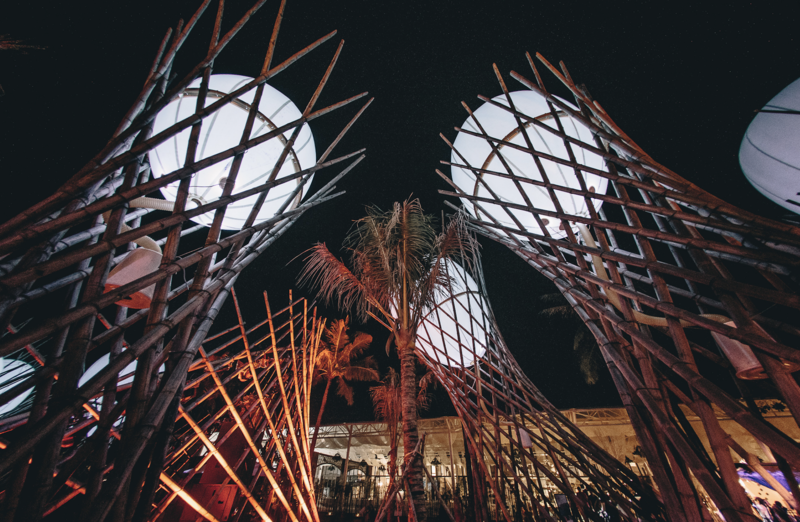 Check out our tracks the ruled Kappa Futur festival feature here.